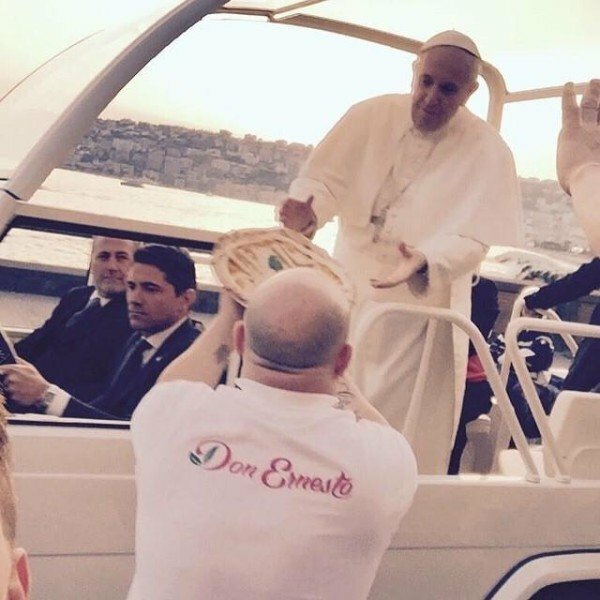 Enzo Cacialli of Don Ernesto restaurant in Naples – the legendary home of pizza – ran toward Pope Francis’ motorcade and handed the Pontiff a personal pie. Pope Francis reached down and accepted the offering, which had “Il Papa” spelled out in dough on top. The Pope said earlier this month that the one thing that bugged him about being Pontiff was not being able to go out to get pizza without being recognized.